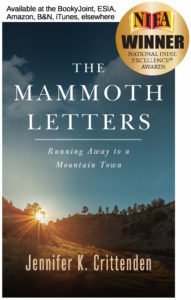 This website is dedicated to the book The Mammoth Letters: Running Away to a Mountain Town and information for visitors and locals about Mammoth Lakes and the Eastern Sierra. 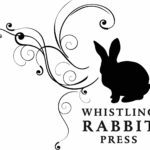 It contains stories, a community calendar, useful resources, a list of books about the region and whatever else we run across. Thank you for reading, and we hope you enjoy your time in the Eastern Sierra. Questions arise when a big city family moves to a remote mountain town in the Eastern Sierra: Why is there a bear in the grocery store? What happened to the missing school teacher? Where do you buy soccer socks around here? Skillfully blending anecdote, history, and description, The Mammoth Letters is an amusing and sensitive portrayal of an eclectic town and its colorful inhabitants and will inspire anyone who has wondered about making the leap from one world to another. In a book of wide emotional range, readers will discover mystery, beauty, and tragedy in how a majestic but unforgiving alpine wilderness affects those living at its edge. Available in paperback, eBook, and Kindle. Join our mailing list for updates, new stories, cool stuff. Link to Amazon. Also on Kindle. Link to Barnes & Noble. Also on Nook. Buy local! Also available at the Booky Joint in Mammoth Lakes, the Eastern California Museum, and at the ESIA Welcome Centers along U.S. 395.